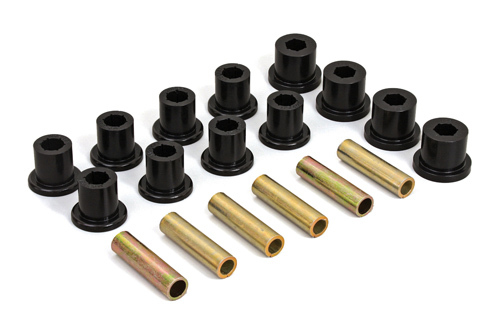 Daystar Spring and Shackle Bushings are an excellent upgrade over stock rubber bushings. They allow less deflection while cornering and can help restore steering feel when used in the front of a vehicle. These bushings are resistant to vehicle fluids and road grime. They also use a unique Polyurethane blend that ensures long life and consistent performance.